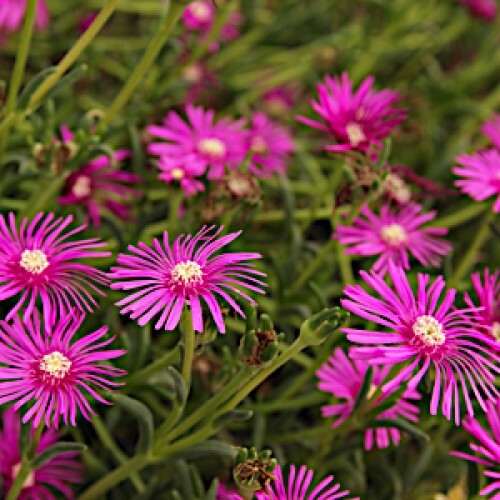 Bright rose-pink flowers bloom all summer over tubular, succulent, dark green creeping foliage. It makes a great groundcover for hot, dry, full sun conditions. 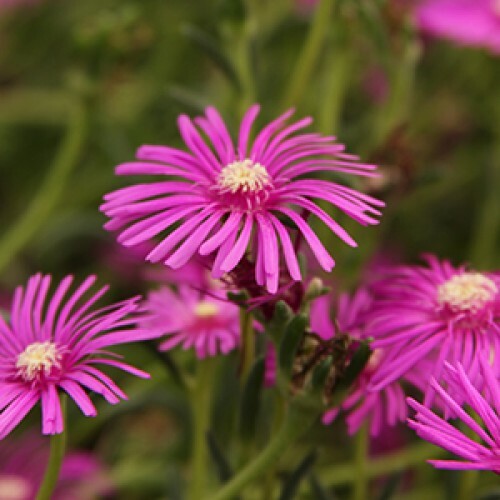 A tight mat of evergreen foliage bears small purple flowers early in the spring. It prefers a lean, ..